Mr. Payson is the founder and managing partner of Colorado Immigration Advocates. He graduated with honors from the University of New Mexico, receiving Bachelor's Degrees in Economics and Political Science. He subsequently graduated with a Master Degree in Economics. In 2006, Mr. Payson was the grantee of a Fulbright Scholarship. He spent 2 years in Heidelberg, Germany, conducting research and teaching. Mr. Payson later attended law school in Michigan. Shortly after graduation, he moved to Denver. He is currently licensed to practice law in the state of Michigan and to represent clients in various immigration-related matters. Mr. Payson is known for providing creative solutions to often complex immigration matters. He is recognized as an exceptional litigator. He is well versed in immigration law and prides himself on being honest, hardworking, and dedicated to obtaining results for his clients. 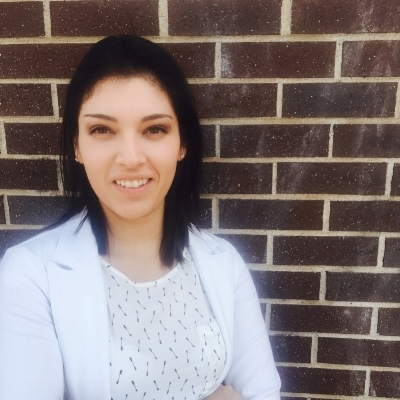 Ms. Gabriela Hernandez joined Colorado Immigration Advocates in Fall of 2016. Gabriela has unmatched enthusiasm for immigration advocacy. Gabriela was born in Chihuahua, Mexico. In May of 2016, Gabriela graduated from Metropolitan State University of Denver with a Bachelor's Degree in International Relations. Gabriela has worked as a translator for over four years, and assists our Spanish speaking clients through every stage of their representation. When Gabriela is not working, you will find her riding her bike, reading a book, and tasting culinary dishes from around the world. We would like to welcome our newest addition to the team, Megan Cronin. Stay informed with information that is important to you!